Social media cannot be avoided when talking PR and communication. And numbers show that it is practically impossible to succeed if one does not use SoMe in campaigns – those being local, regional, national or international. And thus also Scandinavian. The Scandinavian markets have some of the highest numbers in the use of SoMe and one could be seduced into thinking that marketing here would be a pure cake walk. It’s worth having in mind that there are differences, when it comes to which of the SoMe platforms, the four Scandinavian populations are operating on. As for the Finns the most striking is that they almost do not appear when it comes to the use of Youtube. And the Finns also takes a fourth place in number of SoMe platforms used. Despite this ranking, keep in mind that the Scandinavians – overall – have some of the highest frequencies in use of SoMe. Small differences, but all relevant to consider when choosing a marketing and / or PR strategy for your next SoMe campaign. Use the small differences in decision making to leverage your business. 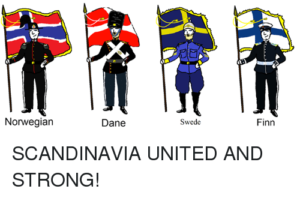 Theme: Scandinavians – similar, but not the same. There is little doubt that the Scandinavian people are often regarded as a slightly homogeneous crowd, where the differences are far less than the similarities. And rightly so, for us Danes, Swedes, Norwegians and Finns are very similar to each other both in appearance, behavior, levels of education, mentality, shopping habits – well, you name it. The Swedes enjoy structure and appreciate preparation and effective execution, and facts, figures and graphs will bring you far. The Finns are a more reserved people who value formalities and strong factual statements. Body language is seen as a sign of uncertainty. The Norwegians are a more informal people who value quality over price and do not necessarily enter into tough decision-making procedures. And then we have the Danes. The most relaxed of the four people, but characterized by the fact that – despite a high degree of un-formality and earthiness – they prefer a direct and executing decision-making process. Small differences, but all relevant to consider when creating a successful marketing and PR strategy for you next Scandinavian campaign. 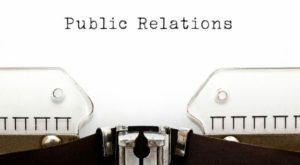 Nowadays, PR is much more than media relations, press releases or launch events. PR becomes a modern combination of classical and new communication trends – integrated, 360 degree PR strategy including visuals, digital solutions, and, of course, blogging. Blogs fit the taste of those who are looking for interesting pieces of news, non-traditional recommendations or educational material. Why else should one integrate blogging into PR strategy? It is your own media channel. 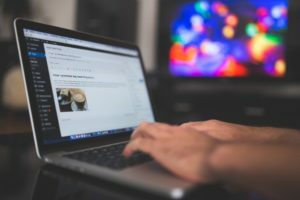 A blog is a media platform that belongs to a company or brand and provides for the ability to become a digital publisher in a cost-effective way. Having in mind that modern PR – as well as a modern audience – requires engaging content, blogs are the right solution: it allows you to deliver valuable information to a target audience, keeping it easily accessible and building a loyal audience or even a community. Demonstrate your experience/Showcase your expertise. A blog can help represent a company, brand and create an image of experts working for and with them. 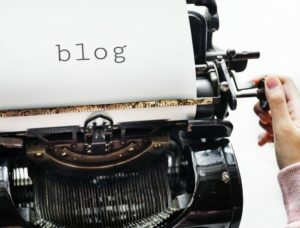 If in a blog you regularly share experiences, hands-on insights and experts’ comments, it helps to create a bond between readers and a company/brand or an expert. Of course, to create and maintain such “relationship” with an audience, the blog has to offer useful and interesting information that can’t be found anywhere else. The success also is in the efforts to keep an ongoing dialogue with readers – discussions, FAQs and suggested topics have to be integrated in the content. Your reputation online. 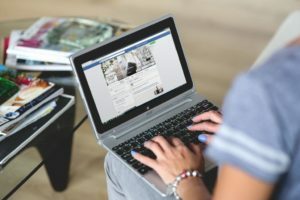 Although sometimes underestimated, your online reputation has a huge impact on how an audience would interact with your brand or services. Nowadays, the web is often the primary source of information. Many customers choose not to trust a brand if they find a lot of negative information about it online, or no information at all. Having a blog or actively cooperating with bloggers helps to spread relevant information and even block the negative. A blog can have a positive influence on your website’s visibility and traffic. If one of your PR objectives is to increase your website traffic, regular blogging can do wonders. It could have positive impact on website’s SEO score when combined with applicable keywords. Relevant content leads to more hits in search engines and builds higher credibility resulting in better perception of a brand or a company. Fast way to share news and latest updates. There is one more positive trait of blogging – it allows you to reach the audience very quickly by just posting the information. When creating a PR strategy, think whether you will need to report important news, give advice to customers and clients, share experience or offer audience inspired content. Did you say “Yes” at least once? Then a blog might just be the way to do it. Of course, such a channel is just a piece of a puzzle that composes a perfect PR strategy. But it is also one of the easiest ones to obtain – so if you still do not have a blog – give it a try (they will be popular for a while…). Today’s media landscape is becoming increasingly dominated and disrupted by digital. It’s everywhere you turn. On the way to work, while eating breakfast and even when we’re with friends, we are constantly absorbing digital media and the endless amount of information technology provides. Blogging is a highly-effective content marketing tool; it is no longer a “back stage” room to hold your content. It’s a space for you to have complete ownership over your brand’s story and the way it’s told. There are thousands of ways to target potential customers through blogging. Specifically, you sell context, not products. It’s great if your blog leads to a direct purchase, but more often, a blog’s purpose is to draw potential customers to your website. So, who does your blog attract? Potential customers may not immediately contact you to purchase your products or services after they’ve read your blog, but search engines and keywords will, at least, draw them to your website. Offer readers something valuable for free, using relevant keyword phrases they are searching for, and they may turn into a customer down the line. Plus, when you provide thoughtful, free content, you might end up with completely new customers that you did not foresee. For example, an entrepreneur might be searching in Google for some quick tips on how to market her business online, and stumble upon a blog post written by your PR agency. She’s so impressed by the tips provided that she now wants to hire your agency to help her sell her product. She wasn’t originally looking into agencies, but because your blog provided valuable content, she was successfully converted into a customer. A mixture of valuable context, consistent messages, effective keywords and timing are very important when getting started on your blog. Now that you have valuable content, do make sure you have some way of monitoring and measuring your blog’s success. Your blog posts should be shared on your website, as well as your social media platforms. Track how much traffic the post brings to your website, how many ‘likes’ or ‘shares’ you receive on social media and how many inquiries come in. Blogging requires strategy and implementation planning just as any other traditional marketing method does. By developing a target audience, creating the right content, being consistent and tracking, blogging can be a highly effective marketing tool for your business. Social media is a very powerful tool for business. It is a platform for businesses to showcase their strengths and build a community of followers. Unfortunately, that same power can translate to major damage in the event of a crisis. Social media gives publicity issues the fuel to escalate to a full crisis in mere minutes. This type of crisis can cost millions and seriously damage the reputation of the company or institution. Crisis communication is a very important piece of a PR plan. The best crisis management practices enable quick mitigation of crises, and general crisis prevention. To survive a PR crisis, it is crucial to come up with crisis prevention and a crisis communication plan during times of peace. Crisis communication strategies should include escalation paths to cover all contingencies. In the event of a crisis, it is essential to count on an internal response flowchart and alert. The crisis flowchart must specify who should be contacted within your organization according to the different scenarios. Your social networks and the people who handle them must keep their contact information detailed and updated. Most of the time, negative comments and feedback can be managed with normal PR efforts and social media management. With adequate training and planning, it is possible to mitigate reputation issues before they evolve into major issues. The key is to be very involved in your online presence and preparation to act fast. 1. The Community Manager/Customer Support responds. 2. The Community Manager/Customer Support responds according to the crisis plan. 3. The head of the crisis committee is involved. If necessary, content is created and monitored. 4. The crisis committee responds, and the executive team is involved. Content is generated and monitored. 5. The executive team responds. Content is generated and monitored. Don’t let them catch you by surprise. Your first response should always be “yes, we know something has happened” even if you have no answers on the issue yet. Using a pre-approved response, act first in the social network or platform where the crisis broke out. Pinpoint where it is escalating fastest, and search for the way to tone it down. The communication should feel sincere, in a simple ⎼not technical or legal⎼ language. Maintain a central location where the public may find all communications, information and content related to the crisis: acknowledgement of the crisis, details of the event, photos or videos, how the company found out what was happening, actions taken in response, contact information, etc. Try to keep all complaints in one place that you can actively monitor (Facebook, Twitter, etc.). If the conversation unfolds in a place we control, it will be easier to monitor, moderate and analyze. Social media crisis management is not about winning, but damage control. Some people will be angry enough not to be convinced of anything we may say. People often join the crisis simply because it is easy to do so from a keyboard. Offering a telephone number to answer complaints may subdue some voices. We must be sure that the customer support staff has all the crisis information and guidelines. It is imperative that ALL employees be informed about the crisis. Whether by email, text message, intranet or meetings, you must keep your employees at least as knowledgeable as the public. They are all potential spokespersons. Analyze what happened: How did it happen? Could it have been anticipated or avoided? How did we respond? What should we change? Analyze all the situations and the public reactions. It is rightly said that everything related to social media is chaotic, complex, difficult to handle and control. The conversation flows with or without our participation. But it also grants us the opportunity to give our opinion in real time, without depending on third parties willing to publish our version. If we employ proper planning and prevention measures in our crisis communication plans, the storm will calm down, and we will be able to put it under control faster and at a lower cost. We came from a world where selling a product or service was all about how you positioned yourself and how you ‘sold’ your company, through advertising, marketing and PR where you told people what you thought they should know about your product. It was really all about you and how good you were. Now we are in a different global world where this is not enough, a world where the empowered consumer will only buy your services or products if he agrees with you and likes who you are, where your corporate values must be a match to his or her own ideas and they must be transparent and known about. This is a big change and companies need to get their heads around what this means for them. Quality and price is not enough if what you say lacks credibility. Consumers have rights and they now think about why they should put their trust in your company, and, as a company, you need to step up to this and make it known who you are, how you think, how you treat others and what your views on the world are. It’s happening at all levels and forcing some companies who have lost consumer trust to re-think the strategy. So here are some tips on what your company should be doing in PR terms to regain your consumers, clients and prospects trust and make sure you keep it. Analyze carefully all aspects of what you are doing and how you are communicating to your audiences, your ‘voice’. Make sure all your company (people who work for you, suppliers and other audiences) understand your viewpoint and values and identify with them. Include your audiences in the analysis so that ideas are not imposed, but understood and complied with. Define your position on issues like environment, social issues, even politics. This may be a risk, but being neutral is often seen as aligning with the ‘bad guys’. Look at your social network presence and take into account that some social networks have come under severe criticism. Be careful that consumers don’t see you as part and parcel of these errors, so put transparency high on your ‘to do’ list because trust is tantamount. The culture you breathe in your company needs to speak of authenticity and transparency, this will make consumers feel their needs are being met and less likely to feel they’re always being ‘sold to’. Get your name to appear and tell people who you are in established newspapers and publications. Get noticed and get your opinion out there, support your corporate values and issues which you think interest and please your audiences. In our era of ‘fake news’, people still trust traditional and digital media with solid reputations. Make sure your company is meeting its consumers or clients on their terms by making your website and social pages a very positive experience. If a review is left or customer help asked for, ensure that they leave your site or social page feeling reassured and feeling you care about them, that their opinion matters. But this must be real, this is not just the face, this translates into real actions and is demonstrated. Know that each consumer ‘touch’ is an opportunity to humanize your company making it easier for consumers to put their trust into what you do. Try to engage with ‘earned content’. If you see a consumer interacting with your product, use this, making it public (always after asking and receiving permission) so that others can identify with the action and trust in it. Offer useful information to your consumers or clients related to your product, service or sector. You could for example use a specific place on your website and social platforms for your customers, clients to ask what they want to learn and you could ask them what they would like to know about. To conclude, flip the coin, be more aware as a company of what the needs and desires of your consumers, clients or prospects are and try to meet them. Throughout my all-most 20 years in the communications game, I have been participating in many business networks – national as well as international. These networks have contributed to many learnings and business connections, but also to some important realizations. These became particularly obvious, when I became active in the leadership of Public Relations Global Network (PRGN) four years ago, and learned how much the activities in PRGN differ from those in other international networks. In other international networks, I have often had the experience that partner agencies have discussed and articulated the network and its members to clients. But that there rarely has been a real knowledge exchange or corporation between agencies across the globe. In PRGN it’s quite another picture. Our many – and frequently used – online discussions groups, chats, teams and best practise debates combined with our semi-annual global face-to-face meetings lead to an in-depths professional knowledge sharing. As well as to lifelong friendship between agency owners and leading employees. Our global meetings strengthen knowledge sharing and sharing of best practice at the highest level possible. Furthermore, we also drive our knowledge sharing technologically. Amongst other things in form of a confidential database of client cases from all over the world, from which we can all draw. This combination of our digital and face-to-face interaction provide our clients with the worlds best advisors from 50 agencies when consulting one of us. I have previously experienced that partner agencies in other international networks have not taken advantage of the opportunity to real corporation cross national or regional borders, thus not enabling creation of real international network value for their clients. In PRGN, I don’t have a shadow of a doubt that our clients around the globe receive, what they’ve been promised, when they choose an agency that prides itself for international networks, experiences and acquaintances. 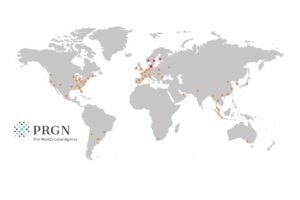 I’m so proud of what we have created in PRGN in the past 25 years – and today can offer to our clients; A real international network with a team of passionate communications experts from every corner of the world, working together to take PR, communications and marketing to the highest level possible. Creating amazing results for our clients. As President, my goal is to continue to support and work to strengthen this amazing and real international network. However, as PRGN is a shining example of, the best results are gained by cooperation. Therefore, I would like to use this post to invite you to participate with suggestions, new ideas and thoughts which can help continue and develop PRGN, so we can proudly continue to call ourselves “The Worlds Local Agency”.